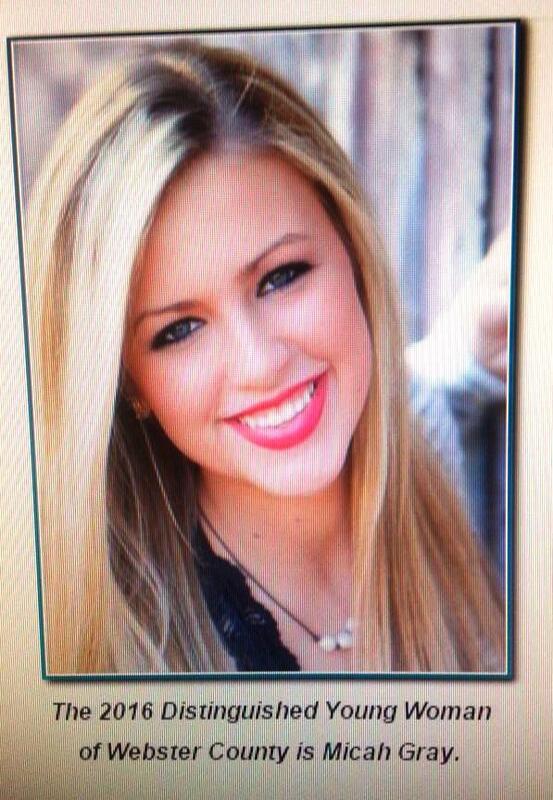 Gray currently serves as Webster County’s Distinguished Young Woman (formerly Jr. Miss) and will be at the state competition July 19-25 at the Temple Theatre in Meridian for a week of preparation and preliminaries. 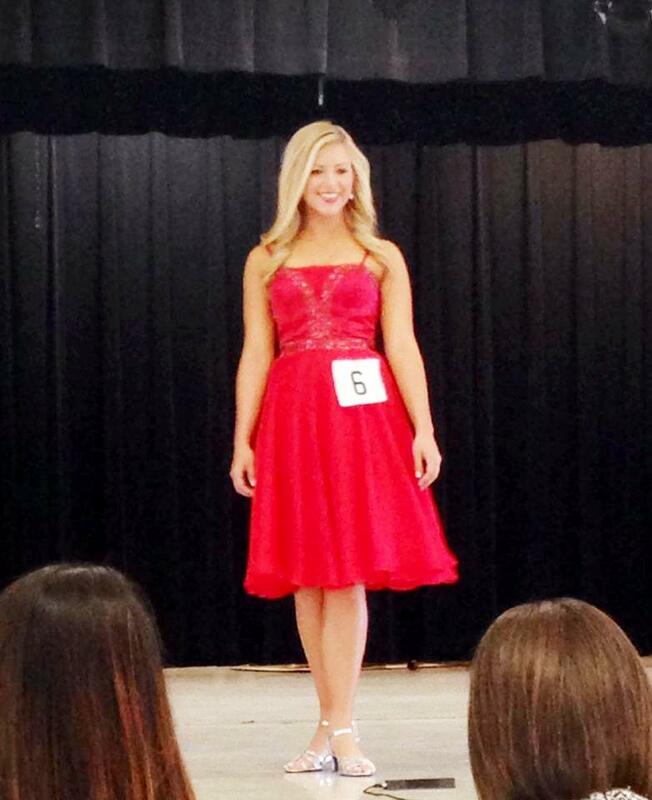 Because Webster County does not host a local DYW program, Gray participated as an “at-large” competitor. Gray became involved with the DYW program last year, serving as a “little sister” to one of her friends in the Choctaw County DYW program. Gray said she and her family were in Outback Steakhouse when she received the text saying she was officially Webster County’s DYW and that she would compete in the state program. Micah is the daughter of Rev. Travis and Angela Gray of Eupora. She is a Senior at French Camp Academy and is dual-enrolling freshman through East Mississippi Community College. She is a varsity cheerleader and tennis player. She has been a state champion cheerleader for two years and has competed in the state tennis tournament, state Bible drills, and state choir competition. She is Treasurer of the Beta Club. Micah has also served as secretary and Vice President for her student government and been a homecoming maid. 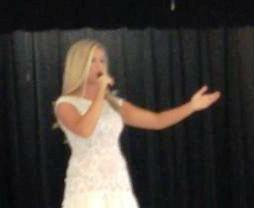 She is actively involved in her youth group and sings with the praise team at First Baptist Church of Eupora. Micah is a President’s List Scholar and a Senior dancer at the Joyce Yates School of Dance. As a DYW contestant, it is Gray’s responsibility to represent the motto of the organization: to be her best self in five ways: to be ambitious, studious, involved, healthy, and responsible. Gray is one of six “at-large” contestants participating in the program this year, with 34 contestants in all. According to Pam Rutherford, State Contestant Chairman, the At-Large program is held in Meridian every Spring and is for participants in those counties or cities that do not have a DYW program already in place. Any girl interested in being in the program that lives in a county without a DYW program, can contact the At-Large Chairman Sally Johnson via email at musicmom13@comcast.net. Rutherford said the DYW program is a national scholarship program that makes a positive impact in the lives of young women by providing an experience that promotes and rewards scholarship, leadership and talent. “I personally am very passionate about the program because it gives me a chance to help young women achieve scholarship money as well as build their self-confidence with the important life skills that they need as they enter the next chapter of their lives as they go of to college,” Rutherford said. According to At-Large Chairman Sally Johnson, at-large contestants must compete to earn a certain score to move on to state competition. Contestants are judged in five key areas: fitness —15 percent of the total score, talent — 25 percent of the total score, interview —15 percent of the total score, academics — 20 percent of the total score, and self-expression (an evening gown-type of competition) —15 percent of the total score. To learn more about the program go to www.ajm.org. This year’s Distinguished Young Women of Mississippi Program will be held July 23- 25, 2015 at the Temple Theater in Meridian. For ticket information call Kimbo Floyd at (601) 480-3438. See this story in the July 22, 2015 edition of The Webster Progress Times at http://websterprogresstimes.com/2015/07/22/gray-competing-in-state-dyw-program/.